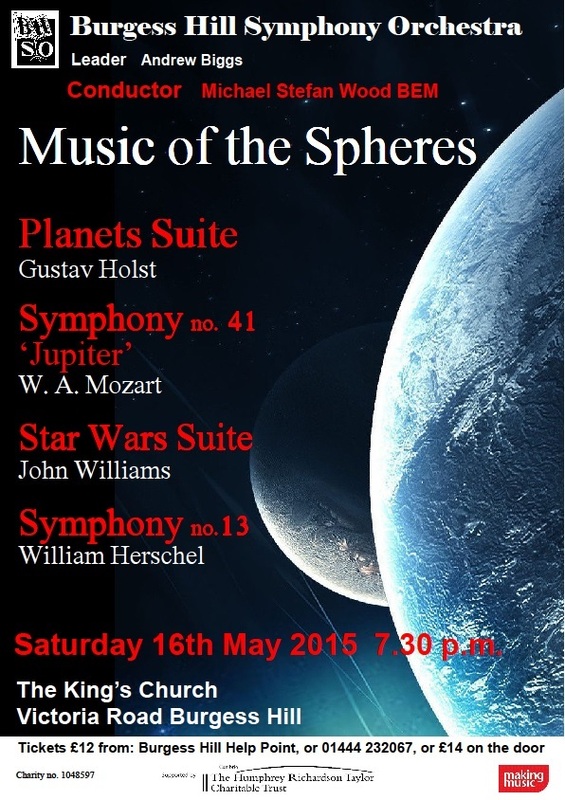 Burgess Hill Symphony Orchestra presents “Music of the Spheres” in The King’s Church, Victoria Road, Burgess Hill, RH15 9LR. For this star struck concert, Mike Wood, our charismatic conductor, will lead the orchestra to a stellar performance of these very popular works. Plus, you will be treated to a performance of Sir William Herschel’s 13th Symphony. Herschel was not only a talented musician and composer, but was also a world renowned astronomer who discovered the planet ‘Uranus’.